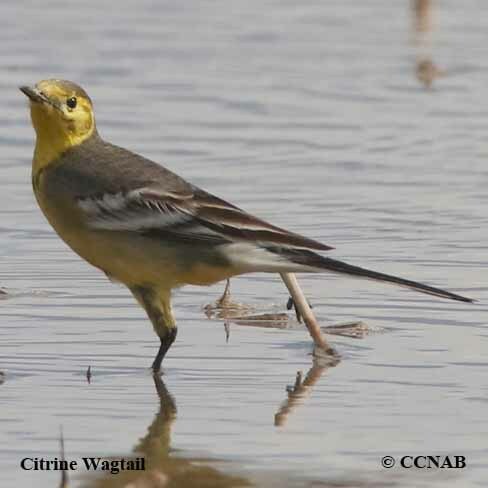 There are at least four types of wagtails seen in North America; these are the Citrine Wagtail, Eastern Yellow Wagtail, Gray Wagtail and the White Wagtail. The wagtails are ground feeding birds found on the arctic tundra throughout North America and Eurasia. Just as their family name implies, these bird can be identified by their wagging tails as they go about their day. These slim colourful birds' plumages are black, white, yellow or gray and they are usually found close to streams or other water sources.